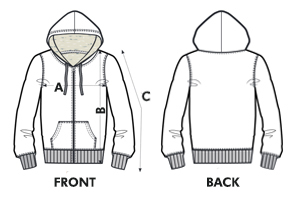 The Freedom-Jacket is a comfortable and very soft hooded zip sweater, fairtrade and organic! We love this classic and beautiful design that shows birds rising out of barbed wire. We think it could be seen as a symbol of our longing for freedom and liberation. A great jacket, not only for vegans but for everyone involved in (political) struggles for freedom. Sania ( on the left) is 1,88 m tall and is wearing a size XL, Julia is 1,75 m tall and is wearing a size M.